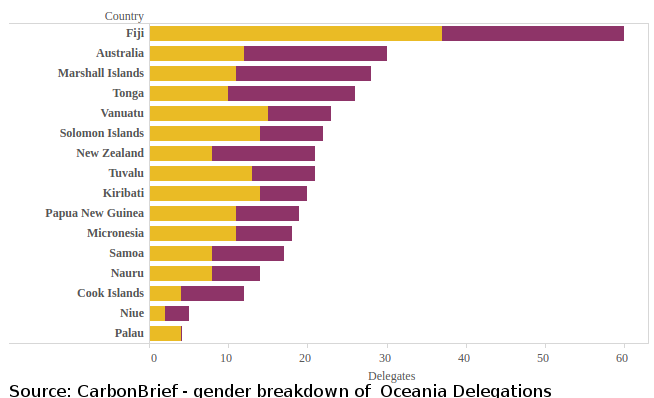 Carbon Brief has done an analysis of the size of official delegations at the United Nations Climate Conference, COP24, meeting in Poland, and also the gender breakdown of each delegation. 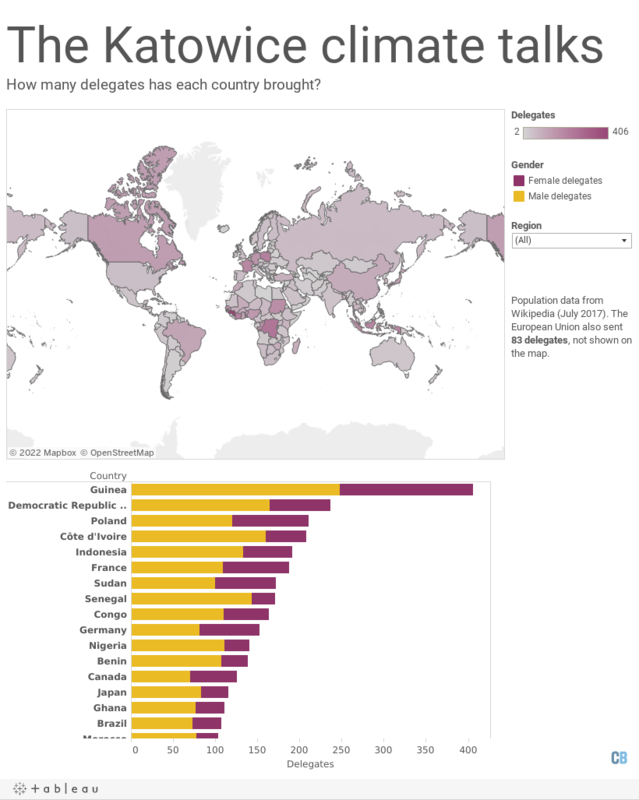 Australia has an official delegation of 30 consisting of 18 female and 12 male delegates. Our delegation has a far better gender balance than our House of Representatives with 29.5 per cent female representation or our Liberal Party in Government with just 20.3 per cent female representation. The Australian delegation is one of a few with majority female representation, but others of note include Marshall Islands, Tonga, New Zealand, Cook islands, Samoa, Thailand, United Kingdom, Finland, Seychelles, Sweden, Norway, Peru, Romania, Serbia, Estonia, Hungary, Columbia, Costa Rica, Sant Lucia, Jamaica, Israel, Croatia, Eswatini, Iceland, Uruguay.